Along with all your printing needs, Canterbury Graphics specializes in helping non-profit associations reach their donors that make the difference. We can cut your direct mail/printing costs and increase your donation amounts with effective content writing and design. Our passion is to utilize our experience and skills to help non-profits help the causes they represent. 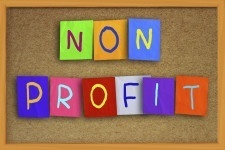 We go above and beyond to help non-profits save costs and get the most from their marketing dollars. From concept to completion, we can direct your mailing campaign with precision and finesse. Are you having a creative block in writing your year-end appeal? Here are some tips for unleashing your creativity. Call one of your biggest fans or largest donors and ask them why they support your cause. Ask them to describe what you do and why it matters. Invite them to tell a story. Use their words in your appeal. Ask someone who benefitted from your programs to write the appeal based on what your cause means to them. Ask your child or a friend’s child how they would describe what you do. It’s often wildly creative, if not accurate. But it will get you thinking. Make a collage of some pictures that speak 1,000 words about your work. Describe what you see from an emotional place – rather than simply writing about what you do. (Bonus unexpected tip for those of you counting!) Don’t worry about writing a good appeal. Try writing a great story. The money will follow. Contact us today for a free consultation and estimate. Canterbury Graphics Direct Mail Printing for Non-profits – A traditional direct mail printer that has grown to encompass every aspect necessary to accommodate nonprofits and all their needs. FREE local delivery and FREE consultations! Call or email today and let us help you with your next project!